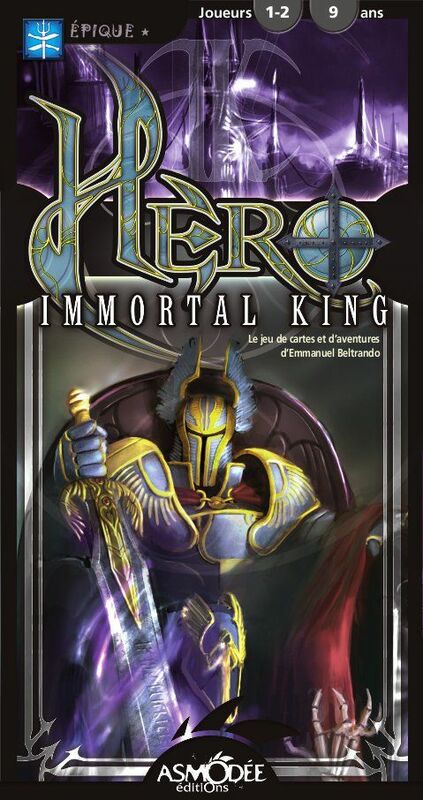 Hero: Immortal King takes the concepts of a traditional role-playing game, and turns it into a head-to-head (or solitaire) card game between the adventurers and the dungeon. One player leads the adventurers down three dangerous corridors (each represented by a deck of cards), while the other player manages the dungeon and its dangers. The adventurers win by defeating the final monster in the dungeon. The dungeon wins if the adventurers lose all their Courage – represented by tokens. Le repaire de la liche (The Lair of the Lich) has no traps for the adventurers, but that just means there are more monsters!